What Strength of Retinol Do You Need For Your Skin Type? Few skincare ingredients have come close to matching the anti-aging (and anti-acne and anti-dullness—we could go on, but you get the picture) wonder that is retinol. “Retinol helps to diminish and smooth fine lines and wrinkles, reverses sun damage and photo aging, and evens out dark spots and rough skin tones,” dermatologist and Goldfaden MD founder Dr. Gary Goldfaden says. The only issue is that as a powerful active ingredient, it can be irritating. When used in the wrong strength, retinols can be irritating and ineffective. Which is precisely why we called in the pros to help us determine what strength of retinol we all should be using. “Due to the irritation factor, the skin needs to acclimate slowly, particularly sensitive skin,” says dermatologist and Skinfluence founder Dr. Marina Peredo. “By using varying concentrations of retinol, we can acclimate the skin safely and effectively with little to no irritation.” Dr. Goldfaden and Dr. Peredo agree fair, thin, and sensitive skin types with no history of retinol use should start with a low percentage, like 0.025%. 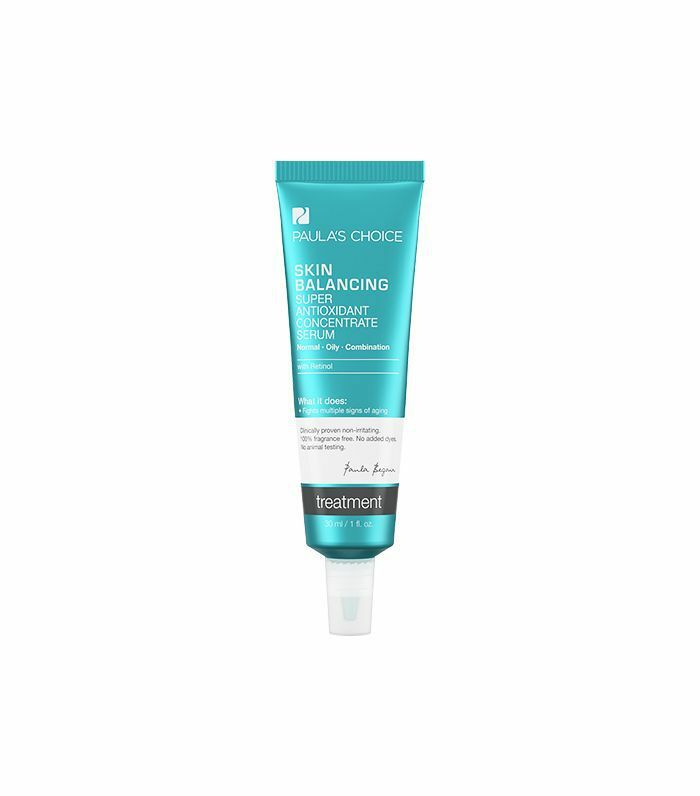 Try Paula’s Choice Skin Balancing Super Antioxidant Concentrate Serum With Retinol ($32), with 0.03% retinol, and if your skin is tolerating the product well after several weeks of use, you can move up to something stronger. Normal and combination skin can start at a higher concentration. 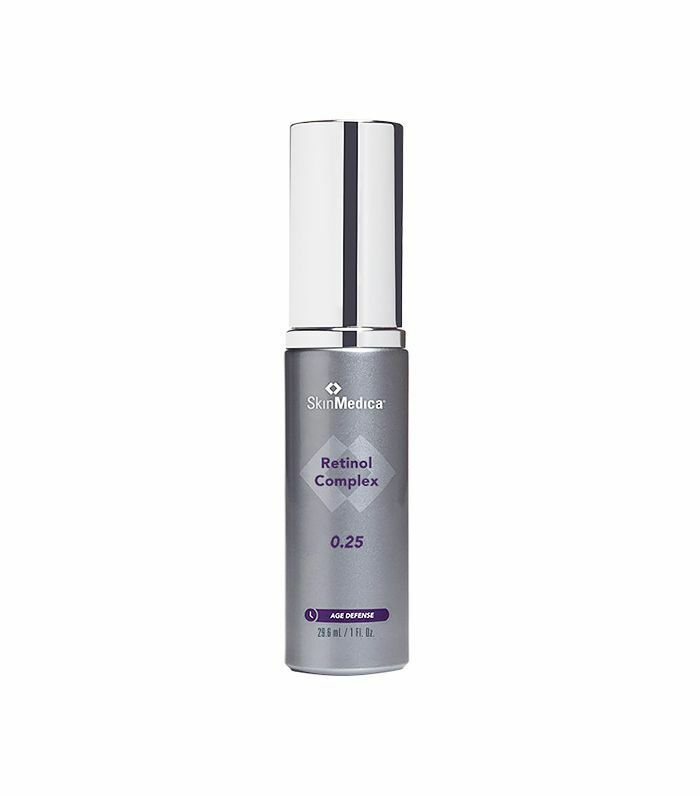 Try SkinMedica’s Retinol Complex 0.25 ($60), which contains 0.25% retinol. And depending on your skin’s reaction, work your way to something stronger in a few months. “When starting out, always watch for side effects, which can include redness, dryness, itchiness, or overall sensitivity,” Dr. Goldfaden says. When you’re ready for more retinol, we recommend SkinCeuticals Retinol 0.5 ($57) with 0.5% pure retinol. “Skin types that are darker, thicker, and tougher will be a bit more tolerant when starting use,” Dr. Goldfaden says. Start out with Renée Rouleau’s Advanced Resurfacing Serum ($84). It has a concentration of 0.4%. 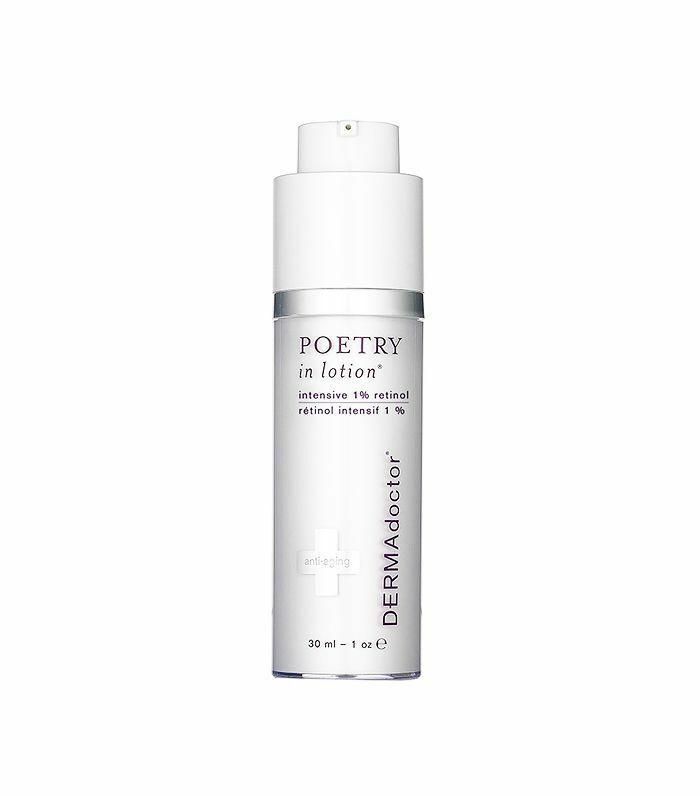 Once your skin has adapted, try something with 1.0% retinol, like Dermadoctor Poetry in Lotion Intensive 1% Retinol ($75). “It goes without saying that the more skin damage (wrinkles, sun damage, etc. ), the higher the percentage you eventually want to use,” Dr. Goldfaden says. The highest concentration of retinol you can get without a prescription is 2.0%. If you get to that point, try Dr. Brandt’s Overnight Resurfacing Serum ($85). And we'd be remiss if we didn't include this important note from the doctors: Always wear your sunscreen. “Retinol can be used all over the face, but pay specific attention to eyelids, corners of the eye, and corners of the mouth, as it can burn and cause irritation [in those places],” Dr. Goldfaden says. 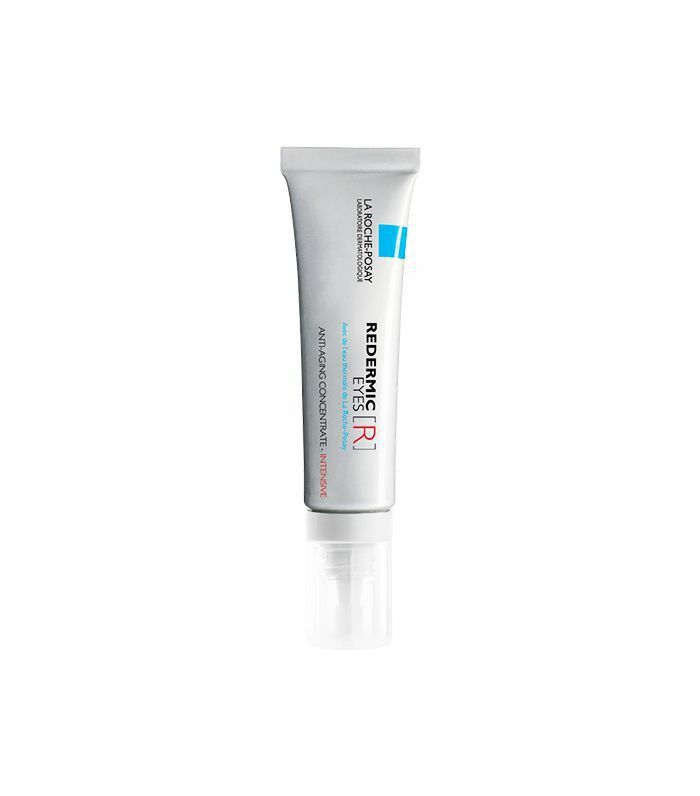 If you want to use retinol near your eyes, use one specifically designed for your eyes, like La Roche-Posay’s Redermic R Eyes ($47), which contains 0.01% retinol, making it non-irritating for the delicate skin around your eyes. Another factor that can impact your skin’s sensitivity is the climate you live in. If you live in a cold, dry climate, Dr. Goldfaden says you should switch to a retinol cream (like Dermalogica’s Overnight Retinol Repair, $85) to avoid excessive drying. Do you have any other retinol-related questions? Ask away in the comments below!